The winner of our Gear Giveaway this week will receive Mystery Ranch’s all-new Robo Flip backpack. We’re pretty psyched about this, since we review a lot of products from a lot of different companies. And a lot of companies make some products that are great … and a bunch of other products that aren’t. But Mystery Ranch has been consistently putting out high-quality packs for years, and we’ve been impressed by every Mystery Ranch product we’ve reviewed. 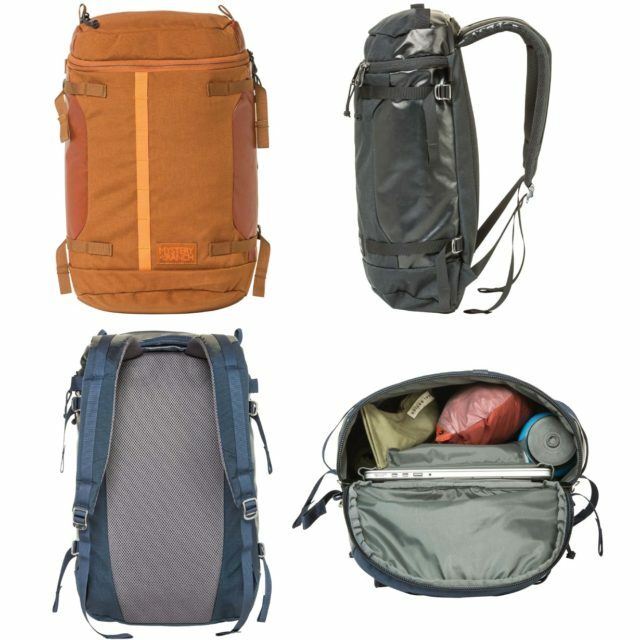 Whether it was their ski pack, duffel, or backpacking backpack, they’ve all proven to be burly, thoughtfully designed, and have held up to a lot of abuse over the years. The Robo Flip is a new urban pack from Mystery Ranch, and takes the high-quality construction and durable materials from their technical packs, and applies them to an urban, everyday-carry design. We checked it out at Outdoor Retailer this summer, and it looks pretty sweet, with plenty of features for your daily commute: 15” padded laptop sleeve, tablet pocket, an internal water-bottle pocket, a top lid pocket for the essentials, daisy chains for a bike light or extra gear, and compression straps to keep the 21 liters of volume tight and compact. So enter below before Friday AM, September 7, for your chance to win. By entering, you’ll also receive our weekly Blister newsletter, where we’ll (a) announce each week the winner of our previous Gear Giveaway, (b) provide a roundup of the news and our highest-profile reviews of the past seven days, and (c) offer sneak peeks of the products we’re currently reviewing. It’s good times for sure, so don’t miss out. You’ll also be kept up to date on all the latest from Mystery Ranch. Good luck!